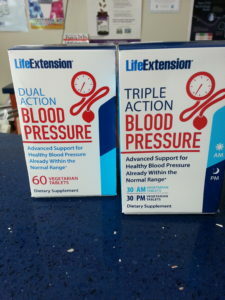 Triple Action Bloo d Pressure AM/PM is formulated with myricetin and quercetin flavonoids along with steviosides to support a healthy 24-hour blood pressure cycle. Suggested dose is one tablet in the morning and one tablet 30-60 minutes before bedtime. This formula is available with or without time release (2mg) melatonin.